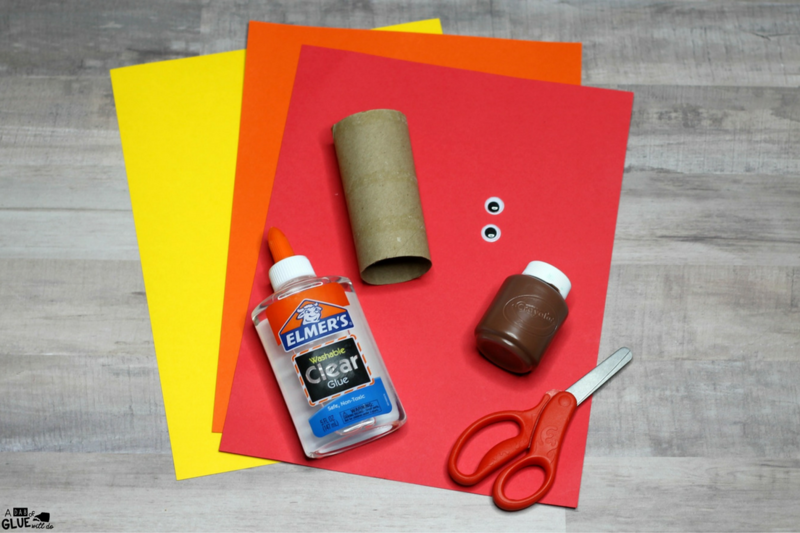 Are you looking for a simple Thanksgiving craft for children to make this holiday? 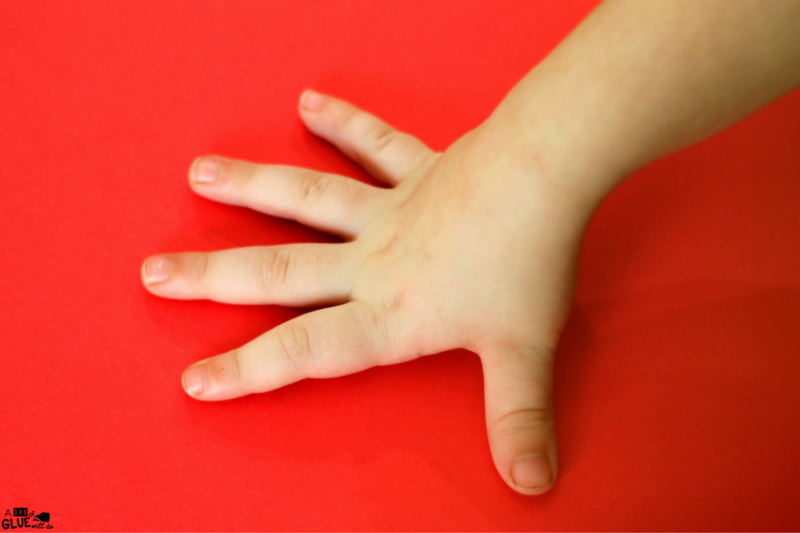 This Handprint Turkey Craft is fun and easy for young children to make. 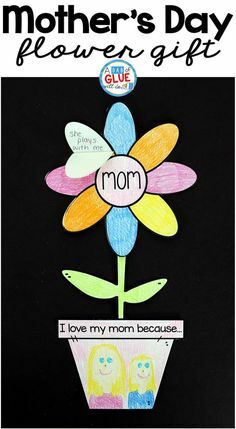 It makes an adorable Thanksgiving decoration and special keepsake too. 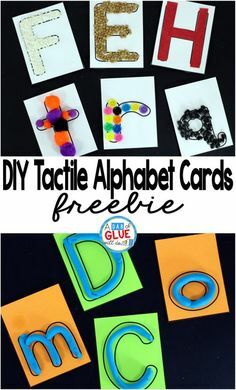 One of my favorite things about this turkey craft is that it is inexpensive to make. If you don’t already have the supplies at home, you can find everything you need at the dollar store. This simple Thanksgiving craft requires very little preparation too. 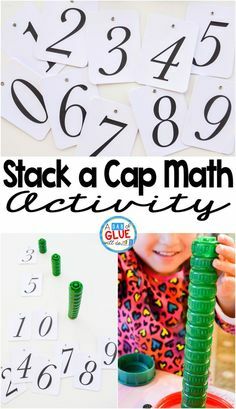 Simply spread the brown paint onto a small paper plate or paint tray and lay out the rest of the materials for your students. 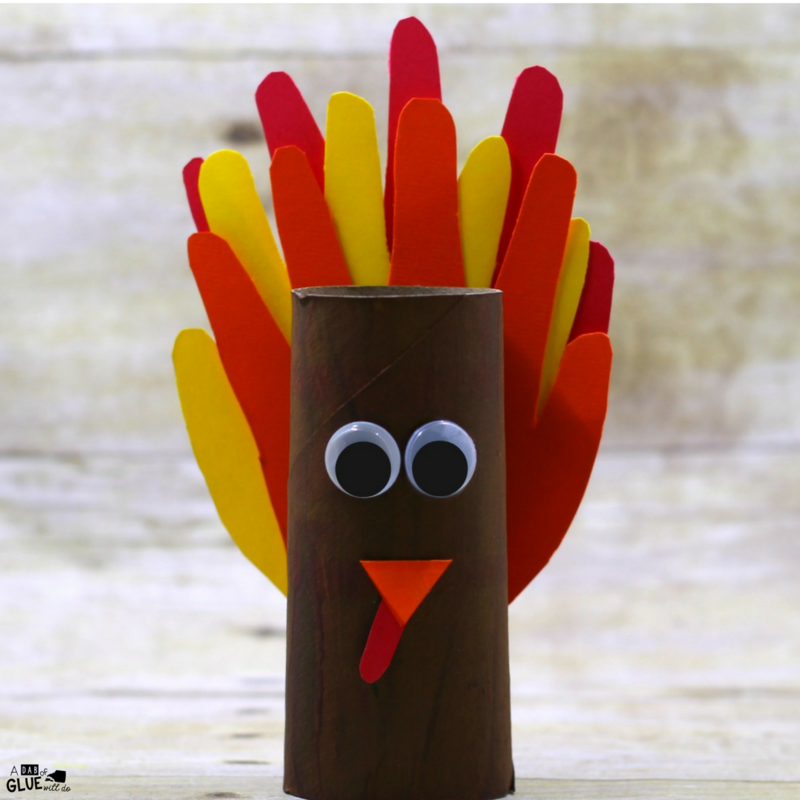 To begin making this turkey craft, children will cut the cardboard tube into the size turkey that they want to make. They can cut the cardboard into different sizes to create a whole family of turkeys too. 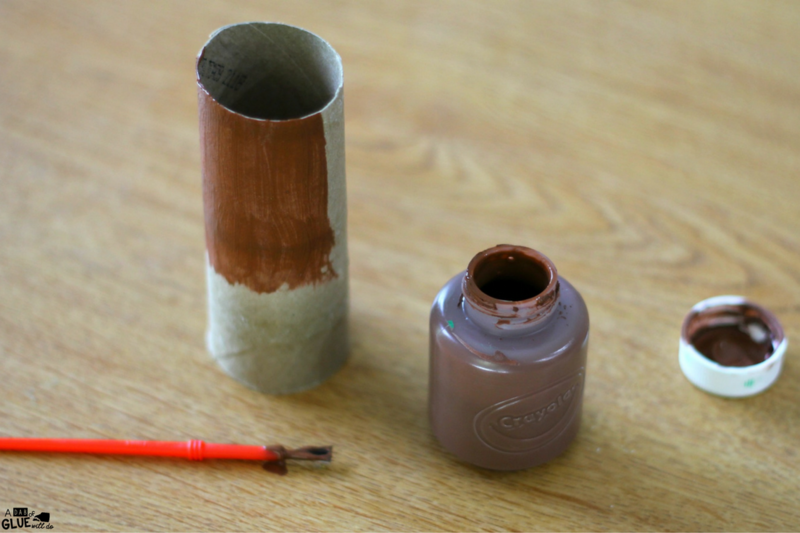 They will then use the paint brush to paint the cardboard tube with the brown paint. While the paint dries, the children will cut a diamond out of the orange construction paper and fold it in half to make the turkey’s beak. They will then cut an oval out of the red paper for the turkey’s gobbler. After the paint dries, the children will glue the beak in the middle of the cardboard tube. Next, they will glue the gobbler next to the beak. Then, they will glue the googly eyes above the beak. 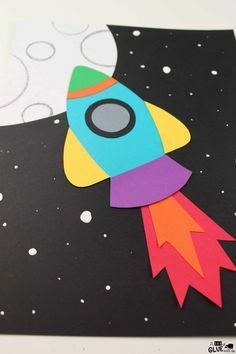 While the glue dries, you can trace the children’s hands onto the red, orange, and yellow construction paper. They can then cut their handprints out. 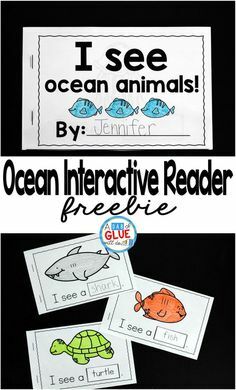 If they are just learning how to cut, they may need hand-over-hand help to cut around the fingers. 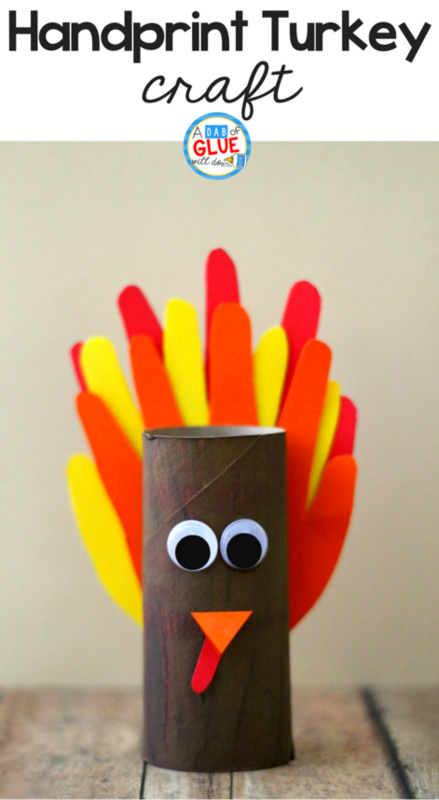 Finally, the children will glue the handprints to the back of the cardboard tube to create the turkey’s feathers. 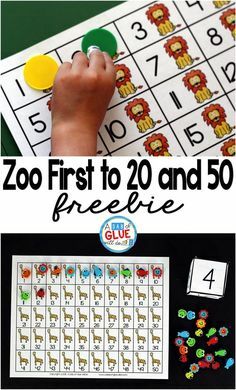 This Handprint Turkey Craft is fun and easy for young children to make. 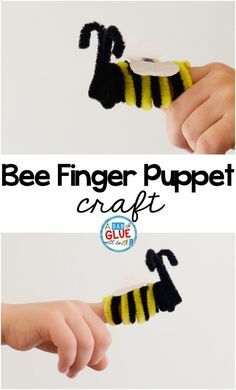 Not only does this turkey craft make an adorable Thanksgiving decoration but those little handprints make it priceless keepsake too. 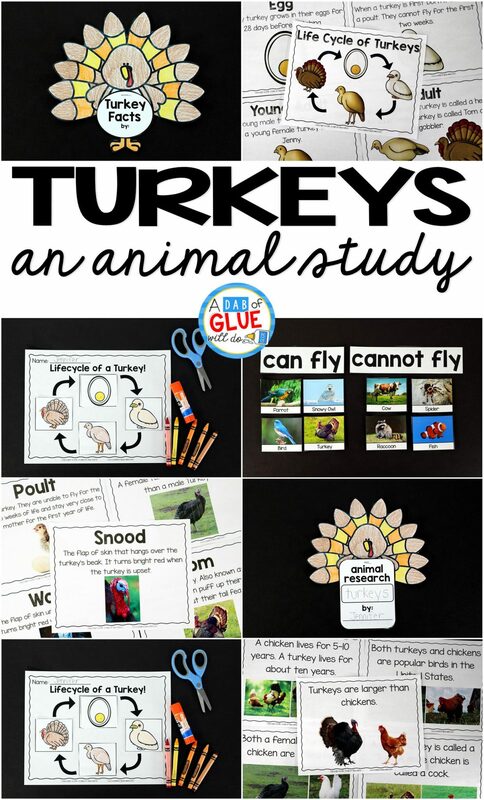 You might also like Turkeys: An Animal Study!